These external effects arise when property rights and legal contracts do not cover some of the effects of the decision-maker’s actions. For example, one cannot sue the smoker for the damages experienced from second-hand smoke. Property rights and contracts that would reward actors for the positive external effects imposed on others, and make them liable to pay damages for the negative effects, are infeasible when the necessary information is not available to one or more of the parties or cannot be used in a court of law. Policies can address market failures by inducing actors to internalize these effects, for example by subsidizing a firm’s R&D when it may benefit other firms, or by imposing taxes that raise the price of goods whose production or use is environmentally destructive. Other policies can directly regulate the actions of firms and households, for example by banning the use of chemicals such as pesticides that impose costs on others. Private bargaining among parties can sometimes constrain actors to take account of the effect of their actions on others, for example a merger between a firm emitting pollutants and a firm suffering damage as a result. For moral and political reasons, some goods and services, such as our vital organs, emergency medical care, or our votes are not traded on markets, but are allocated by other means. The logic of Adam Smith’s famous claim, that the businessman in pursuit of his own interest is ‘led by an invisible hand’ to promote the interests of society, is the basis of the economic model of a perfectly competitive market (see Unit 8). Price-taking firms and consumers, each pursuing their own private objectives, implement market outcomes that are Pareto efficient. Friedrich Hayek explained how Smith’s invisible hand could work (see Unit 11). Prices send messages about the real scarcity of goods and services, messages that motivate people to produce, consume, invest, and innovate in ways that make the best use of an economy’s productive potential. It is this process that allows the market system—many markets interlinked—to coordinate the division of labour through the exchange of goods among entire strangers from the four corners of the world, without centralized direction. But sometimes the magic fails. The happy coincidence of private motives and socially valued outcomes summarized by Smith’s phrase is an attribute of a model—a very useful one for many purposes—but not a description of how real markets work in general, and therefore not a good guide to public policy. In this unit, we will consider cases in which prices send the wrong messages. Smith explained that, in areas such as education and the legal system, government policies are needed to promote social wellbeing and ensure that markets work well. Smith was also clear that there were some things that should not be bought and sold in markets. The modern equivalents might include human kidneys, votes, a good school, or life-saving medical care. Pesticides: The pesticide chlordecone was used on banana plantations in the Caribbean islands of Guadeloupe and Martinique (both part of France) to kill the banana weevil. It was perfectly legal, and to the plantation owners it was an effective way of reducing costs and boosting the plantations’ profits. He was right to worry. In 2012, the fraction of Martiniquean men suffering from prostate cancer was the highest in the world and almost twice that of the second-highest country, and the mortality rate was well over four times the world average. Neurological damage in children, including cognitive performance, has also been documented. Overuse of antibiotics is an example of a social dilemma (see Unit 4), in which the unregulated pursuit of self-interest leads to outcomes that are Pareto inefficient. Bacteria become resistant to antibiotics when we use them too often, in the wrong dosage, or for conditions that are not caused by bacteria. In India, for example, antibiotics are easily available over the counter in pharmacies without a doctor’s prescription. Doctors recognize that leaving the allocation of antibiotics to the market has damaging consequences. Following the advice of unlicensed private medical practitioners, people use antibiotics when other treat­ments would be better. To save money, the patients often stop taking the antibiotics when they feel a little better. This is exactly the pattern of use that will produce antibiotic-resistant pathogens. But for the patient, the treatment worked, and the unlicensed doctor’s business will prosper. Contamination by pesticides and the creation of superbugs are quite similar problems. Let’s think of these issues as a doctor would. First, we diagnose the problem. In the case of chlordecone, the problem is that the actions of the banana plantation owners endanger the fishermen’s livelihood and health, but these costs of using the pesticide do not show up anywhere in the profit-and-loss calculations of the owners or the price of pesticides. The overuse of antibiotics occurs because the user does not take account of the costs that will be imposed on others when antibiotic superbugs proliferate. Our diagnosis: Actors do not take account of the costs their decisions impose on others. Next, we aim to devise a treatment. In some cases, the treatment is obvious. Chlordecone was simply banned in France and the US, and its use could have been vastly reduced if the plantation owners had been required (by law or by private agreement with those affected) to pay the damages that their pesticide use inflicted on the fishing communities and others. In other cases, like the misuse of antibiotics by both patients and medical practitioners, effective treatments are more difficult to devise, and may necessarily involve an ethical appeal to the actors’ sense of responsibility towards others. Our suggested treatment: Either directly regulate the actions that impose costs on others, or force the decision-maker to bear these costs. To understand why markets fail in cases like these, it is helpful to remember the conditions that are needed for markets to work well. As we saw in Unit 1, private property is a key requirement for a market system. If something is to be bought and sold, then it must be possible to claim the right to own it. A purchase is simply a transfer of ownership rights from the seller to the buyer. You would hesitate to pay for something unless you believed that others would acknowledge (and if necessary protect) your right to keep it. So for a market to work effectively (or even to exist), other social institutions and social norms are required. Governments provide a system of laws and law enforcement that guarantee property rights and enforce contracts. Social norms dictate that you respect the property rights of others, even when enforcement is unlikely or impossible. Douglass North argued that institutions were not only necessary for the good functioning of the economy, but also the fundamental cause of long-run growth: Douglass C. North. 1990. Institutions, Institutional Change and Economic Performance. Cambridge: Cambridge University Press. Daron Acemoglu, Simon Johnson, and James Robinson argue that institutions are fundamental for growth. They also provide evidence based on the European colonial history and the division of Korea: Acemoglu, Daron, Simon Johnson, and James A. Robinson. 2005. ‘Institutions as a Fundamental Cause of Long-Run Growth’. In Handbook of Economic Growth, Volume 1A., edited by Philippe Aghion and Steven N. Durlauf, North Holland. Daron Acemoglu and James A. Robinson. 2012. Why Nations Fail: The Origins of Power, Prosperity and Poverty, 1st ed. New York, NY: Crown Publishers. Whenever you agree with a seller to pay a certain amount of money in exchange for a good—say, a pair of shoes—you implicitly enter into a contract with the seller. If you have the protection of a legal system, you can expect the contract to be honoured. When you get home and open the box the shoes will be there, and if they fall apart within days you will receive a refund. It is the government that determines the rules of the game in which market trade takes place. Of course, enforcement by a court is rarely necessary because of social norms that motivate both buyers and sellers to play by the rules of the game, even in cases where there is not an actual contract or a transfer of a title of ownership. More complex transactions require explicit written contracts that can be used in court as evidence that the parties agreed to a transfer of ownership. For example, an author may sign a contract that gives a publisher the sole right to publish a book. Contracts govern relationships that are to be maintained over a period of time, particularly employment. In the labour market, a court upholds the right of the worker to work no more than the contracted hours and to receive the agreed-upon pay. Laws and legal traditions can also help markets function when they provide compensation for individuals who are harmed by the actions of others. Liability law, for example, ensures that if a firm sells a car with a design fault and someone is injured as a result, the firm must pay for the damage. Employers usually have a duty of care towards their employees, requiring them to provide a safe working environment, and incurring fines or other penalties when they do not. Marcel Fafchamps and Bart Minten studied grain markets in Madagascar in 1997, where the legal institutions for enforcing property rights and contracts were weak. Despite this, they found that theft and breach of contract were rare. The grain traders avoided theft by keeping their stocks very low, and if necessary, sleeping in the grain stores. They refrained from employing additional workers for fear of employee-related theft. When transporting their goods, they paid protection money and travelled in convoy. Most transactions took a simple ‘cash and carry’ form. Trust was established through repeated interaction with the same traders. When markets allocate resources in a Pareto-inefficient way, we describe this as a market failure. We encountered one cause of market failure in Unit 7: a firm producing a differentiated good (such as a car) that chooses its price and output level such that the price is greater than the marginal cost. In contrast, we know from Unit 8 that a competitive market allocation maximizes the total surplus of the producers and consumers, and is Pareto efficient, as long as no one else is affected by the production and consumption of the good. But the market allocation of the good is unlikely to be Pareto efficient if the decisions of producers and consumers affect others in ways that they do not adequately take into account. This is another cause of market failure. When we analyse gains from trade in such cases, we have to consider not only the consumer and producer surplus, but also the costs or benefits that other parties who are neither buyers nor sellers may experience. For example, the superbug that emerges as a result of the sale and overuse of an antibiotic may kill someone who had no part in the sale and purchase of the antibiotic. We will analyse the gains from trade in a case where the production of a good creates an external cost: pollution. Our example is based on the real-world case of the plantations’ use of the pesticide chlordecone to control the banana weevil, which we discussed earlier. To see why this is called an external effect (or sometimes an externality), imagine for a minute that the same company owned the banana plantations and fisheries, and hired fishermen and sold what they caught for profit. The owners of the company would decide on the level of pesticide to use, taking account of its downstream effects. They would trade-off the profits from the banana part of their business against the losses from the fisheries. 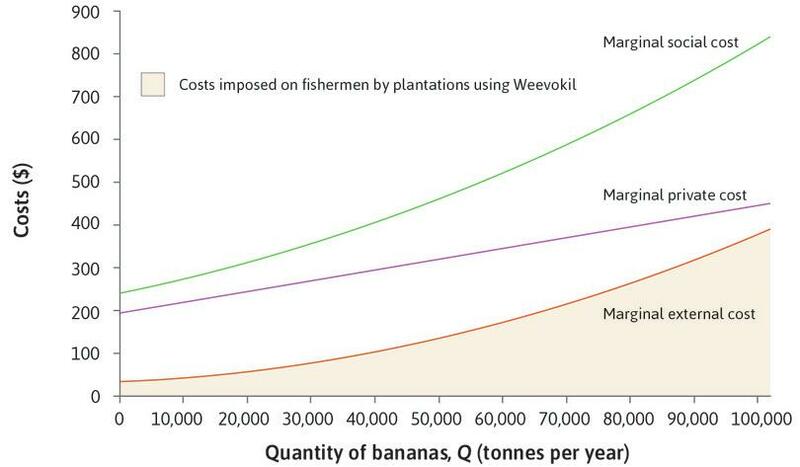 To model the implications of this kind of external effect, Figure 12.1 shows the marginal costs of growing bananas on an imaginary Caribbean island where a fictional pesticide called Weevokil is used. The marginal cost of producing bananas for the growers is labelled as the marginal private cost (MPC). It slopes upward because the cost of an additional tonne of bananas increases as the land is more intensively used, requiring more Weevokil. Use the analysis in Figure 12.1 to compare the MPC with the marginal social cost (MSC), which includes the costs borne by fishermen whose waters are contaminated by Weevokil. 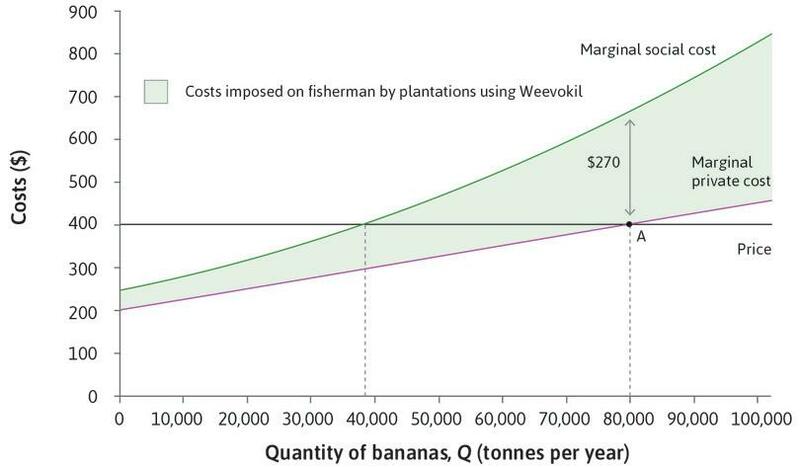 Figure 12.1 Marginal costs of banana production using Weevokil. The purple line is the marginal cost for the growers: the marginal private cost (MPC) of banana production. It slopes upward because the cost of producing an additional tonne increases as the land is more intensively used, requiring more Weevokil. 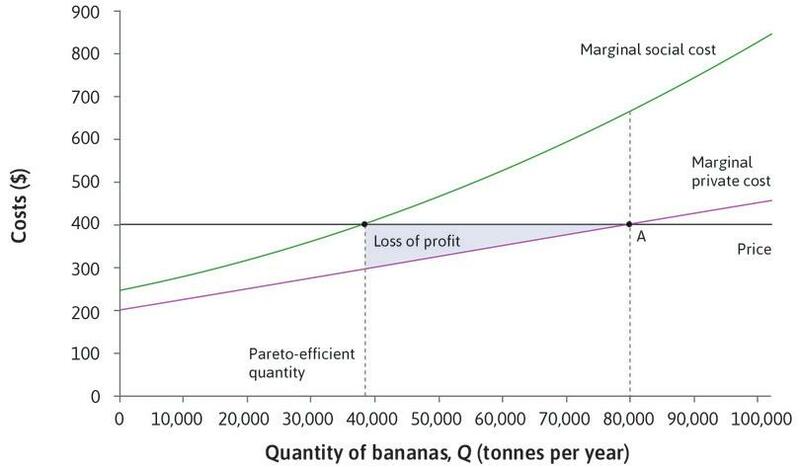 Figure 12.1a The purple line is the marginal cost for the growers: the marginal private cost (MPC) of banana production. It slopes upward because the cost of producing an additional tonne increases as the land is more intensively used, requiring more Weevokil. The orange line shows the marginal cost imposed by the banana growers on fishermen—the marginal external cost (MEC). This is the cost of the reduction in quantity and quality of fish caused by each additional tonne of bananas. 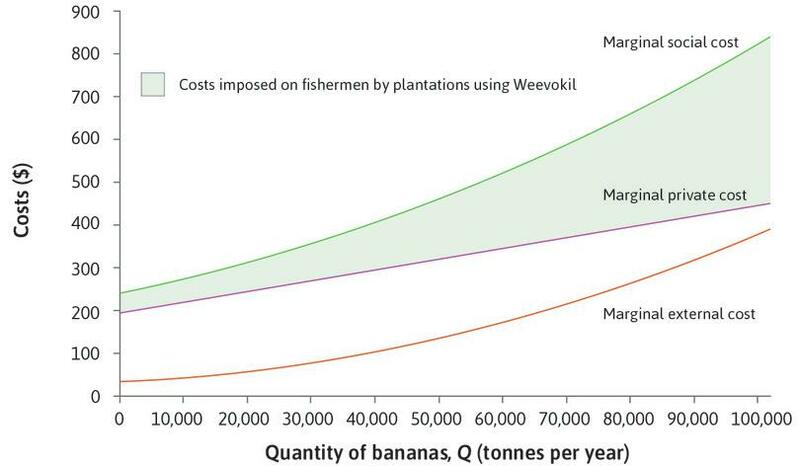 Figure 12.1b The orange line shows the marginal cost imposed by the banana growers on fishermen—the marginal external cost (MEC). This is the cost of the reduction in quantity and quality of fish caused by each additional tonne of bananas. Adding together the MPC and the MEC, we get the full marginal cost of banana production: the marginal social cost (MSC). This is the green line in the diagram. Figure 12.1c Adding together the MPC and the MEC, we get the full marginal cost of banana production: the marginal social cost (MSC). This is the green line in the diagram. Figure 12.1d The shaded area in the figure shows the total costs imposed on fishermen by plantations using Weevokil. It is the sum of the differences between the marginal social cost and the marginal private cost at each level of production. You can see in Figure 12.1 that the marginal social cost of banana production is higher than the marginal private cost. To focus on the essentials, we will consider a case in which the wholesale market for bananas is competitive, and the market price is $400 per tonne. If the banana plantation owners wish to maximize their profit, we know that they will choose their output so that price is equal to their marginal cost—that is, the marginal private cost. Figure 12.2 shows that their total output will be 80,000 tonnes of bananas (point A). Although 80,000 tonnes maximizes profits for banana producers, this does not include the cost imposed on the fishing industry, so it is not a Pareto-efficient outcome. Figure 12.2 The plantations’ choice of banana output. To see this, think about what would happen if the plantations were to produce less. The fishermen would benefit but the owners of the plantations would lose. So on the face of it, it appears that producing 80,000 tonnes must be Pareto efficient. But let’s imagine that the fishermen could persuade the plantation owners to produce one tonne less. The fishermen would gain $270—they would no longer suffer the loss of revenue from fishing that is caused by the production of the 80,000th tonne of bananas. The plantations would lose hardly anything. Their revenues would fall by $400, but their costs would fall by almost exactly this amount because, when producing 80,000 tonnes, the marginal private cost is equal to the price ($400). So if the fishermen paid the plantation owners any amount between just greater than zero and just less than $270, both groups would be better off with 79,999 tonnes of bananas. What about another payment to get the plantations to produce 79,998 tonnes instead? You can see that because the marginal external cost imposed on the fishermen is still much higher than the surplus received by the plantations on the next tonne (the difference between the price and the MPC), such a payment would also make both parties better off. By how much could the fishermen persuade the plantations to reduce production? Look at the point in Figure 12.2 at which the price of bananas is equal to the marginal social cost. At this point, 38,000 tonnes of bananas are produced. If the payments by the fishermen to the plantations resulted in them producing just 38,000 tonnes, then the fishermen could no longer benefit by making further payments in return for reduced output. If production were lowered further, the loss to the plantations (the difference between price and marginal cost) would be greater than the gain to the fishermen (the difference between private and social cost, shaded). At this point, the maximum payment the fishermen would be willing to make would not be enough to induce the plantations to cut production further. 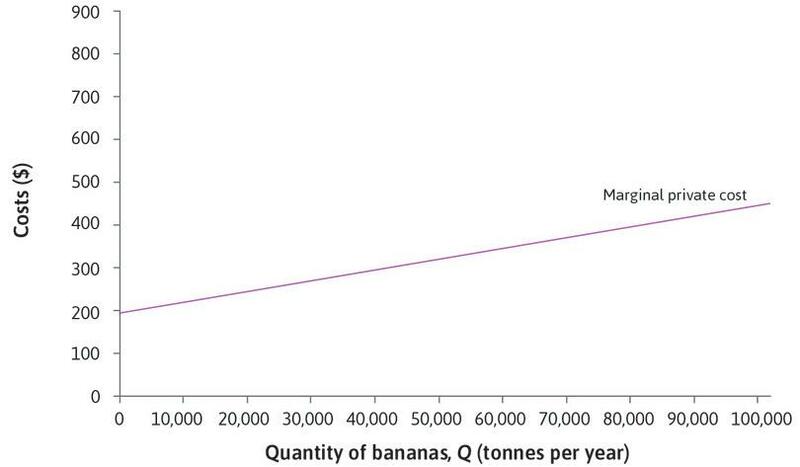 So 38,000 tonnes is the Pareto-efficient level of banana output. The plantations produce 80,000 tonnes of bananas: At this point price equals MPC. When production is 38,000 tonnes it is not possible for the plantations and fishermen to both be made better off. If a single company owned both the banana plantations and fisheries: This company would choose to produce 38,000 tonnes because, for the single owner, price would be equal to MPC at 38,000 tonnes. In general, pollutants like Weevokil have negative external effects, sometimes called environmental spillovers. They bring private benefits to those who decide to use them, but by damaging the environment—water resources, in this case—they impose external costs on other firms or on households that rely on environmental resources. For society as a whole, this is a market failure: compared with the Pareto-efficient allocation, the pollutant is overused, and too much of the associated good (bananas, in our example) is produced. The features of this case of market failure are summarized in the table below. In the following sections, we will summarize other examples of market failure in a similar table. At the end of this unit, we will bring all the examples together in Figure 12.13 so that you can compare them. Figure 12.3 Market failure: Water pollution. A factory is situated next to a dormitory for nurses who work night shifts. The factory produces 120 humanoid robots a day. The production process is rather noisy, and the nurses often complain that their sleep is disturbed. Based on this information, which of the following statements is correct? It does. The fishermen and the plantation owners could negotiate a private bargain. Solutions of this type are often called Coasean bargaining, after Ronald Coase who pioneered the idea that private bargaining might be preferable to dealing with external effects by governmental intervention. He argued that the two parties to the exchange often have more of the inform­ation necessary to implement an efficient outcome than the government does. 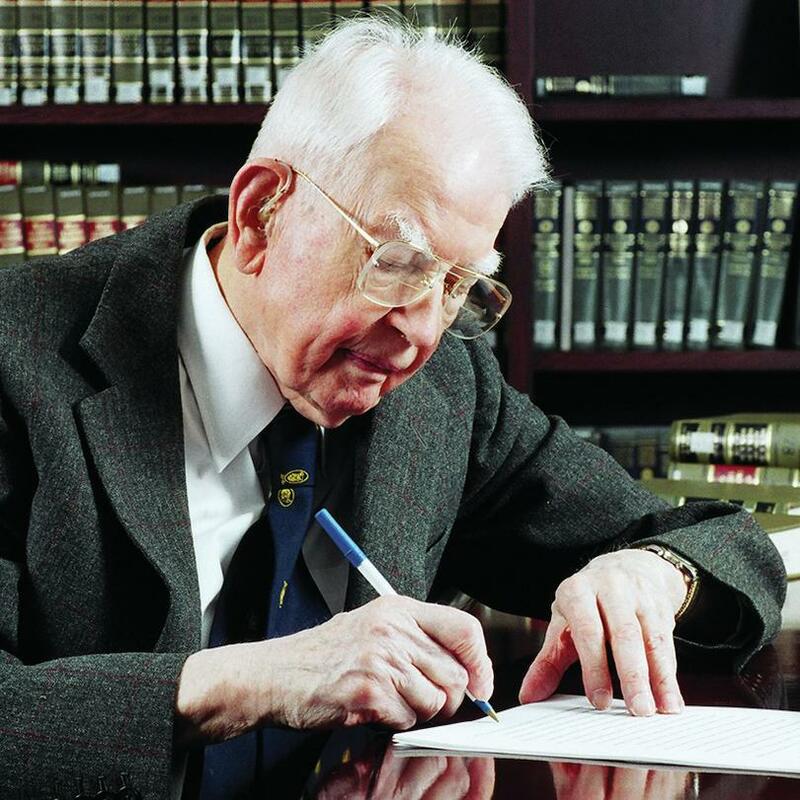 You have already met Ronald Coase (1910–2013). He was featured in Unit 6 for his repres­entation of the firm as a political organization. He is also known for his idea that private bargaining could address market failures. He explained that when one party is engaged in an activity that has the incidental effect of causing damage to another, a negotiated settlement between the two may result in a Pareto-efficient allocation of resources. He used the legal case of Sturges v Bridgman to illustrate his argument. The case concerned Bridgman, a confectioner (candy-maker) who for many years had been using machinery that generated noise and vibration. This caused no external effects until his neighbour Sturges built a consulting room on the boundary of his property, close to the confectioner’s kitchen. The courts granted the doctor an injunction that prevented Bridgman from using his machinery. Coase pointed out that once the doctor’s right to prevent the use of the machinery had been established, the two sides could modify the outcome. The doctor would be willing to waive his right to stop the noise in return for a compensation payment. And the confectioner would be willing to pay if the value of his annoying activities exceeded the costs that they imposed on the doctor. Also, the court’s decision in favour of Sturges rather than Bridgman would make no difference to whether Bridgman continued to use his machinery. If the confectioner had been granted the right to use it, the doctor would have paid him to stop if, and only if, the doctor’s costs were greater than the confectioner’s profits. In other words, private bargaining would ensure that the machinery was used if, and only if, its use, alongside a compensation payment, made both better off. Private bargaining would ensure Pareto efficiency. Bargaining gives the confectioner an incentive to take into account not only the marginal private costs of using the machine to produce candy, but also the external costs imposed on the doctor. That is, the confectioner takes account of the entire social cost. To the confectioner, the price of using the annoying machinery during the doctor’s visiting hours would now send the right message. Private bargaining could be a substitute for legal liability. It ensures that those harmed would be compensated, and that those who could inflict harm would make efforts to avoid harmful behaviour. The court’s role was to establish the initial property rights of the two parties: Bridgman’s right to make noise or Sturges’ right to quiet. Then, as long as private bargaining exhausted all the potential mutual gains, the result would (by definition) be Pareto efficient, independently of which party owned the initial rights. We might object that the court’s decision resulted in an unfair distribution of profits, but however one evaluates this concern (or if, like Coase himself, one puts ‘questions of equity aside’), the outcome would be Pareto efficient. But Coase emphasized that his model could not be directly applied to most situations because of the costs of bargaining and other impediments that prevent the parties from exploiting all possible mutual gains. Costs of bargaining, sometimes called transaction costs, may prevent Pareto efficiency. If the confectioner cannot find out how badly the noise affects the doctor, the doctor has an incentive to overstate the costs to get a better deal. Establishing each party’s actual costs and benefits is part of the cost of the transaction, and this cost might be too high to make a bargain possible. Coase’s analysis suggests that a lack of established property rights, and other impediments leading to high transaction costs, may stand in the way of using bargaining to resolve externalities. We know from the experiments in Unit 4 that bargaining may also fail if one party regards the outcome as unfair. But with a clear legal framework in which one side initially owned the rights to produce (or to prevent production of) the externality, as long as these rights were tradable between the two parties there might be no need for further intervention. Until now you have probably thought about property rights as referring to goods that are typically bought and sold in markets, like food, clothes, or houses. Coase’s approach suggests that we could think of other rights—in his example, the right to make a noise or to have a quiet work environment—as goods that can be bargained over and traded in return for money. Let’s see how a private bargain might solve the pesticide problem. Initially it is not illegal to use Weevokil: the allocation of property rights is such that the plantations have the right to use it, and choose to produce 80,000 tonnes of bananas. This allocation and the associated incomes and environmental effects represent the reservation option of the plantation owners and fishermen. This is what they will get if they do not come to some agreement. For the fishermen and the plantation owners to negotiate effectively, they would each have to be organized so that a single person (or body) could make agreements on behalf of the entire group. So let’s imagine that a representative of an association of fishermen sits down to bargain with a representative of an association of banana growers. To keep things simple we will assume that, at present, there are no feasible alternatives to Weevokil, so they bargain only over the output of bananas. 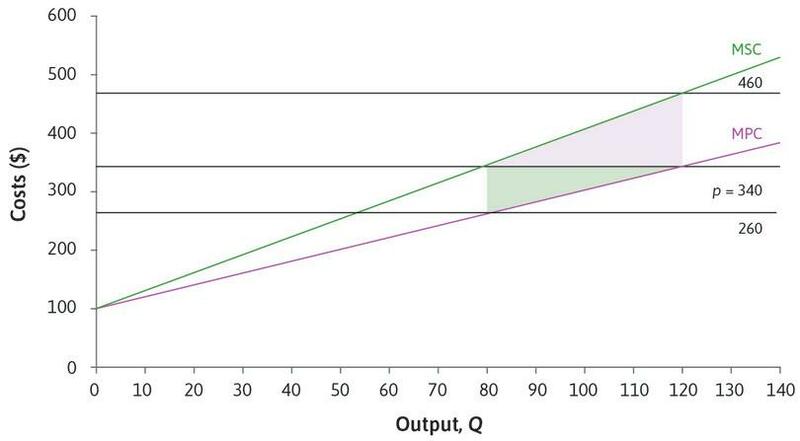 Both sides should recognize that they could gain from an agreement to reduce output to the Pareto-efficient level. In Figure 12.4, the situation before bargaining begins is point A, and the Pareto-efficient quantity is 38,000 tonnes. The total shaded area shows the gain for the fishermen (from cleaner water) if output is reduced from 80,000 to 38,000. But reducing banana production will lead to lower profits for the plantations. Use the analysis in Figure 12.4 to see that the fall in profit is smaller than the gain for the fishermen, so there is a net social gain that they could agree to share. Figure 12.4 The gains from bargaining. 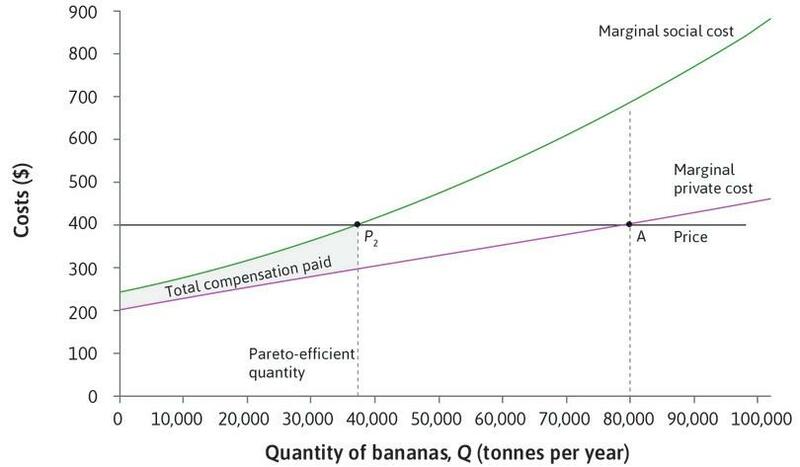 Figure 12.4a The situation before bargaining is represented by point A, and the Pareto-efficient quantity of bananas is 38,000 tonnes. The total shaded area shows the gain for fishermen if output is reduced from 80,000 to 38,000 (that is, the reduction in the fishermen’s costs). Figure 12.4b Reducing output from 80,000 to 38,000 tonnes reduces the profits of plantations. The lost profit is equal to the loss of producer surplus, shown by the blue area. The net social gain is the gain for the fishermen minus the loss for the plantations, shown by the remaining green area. Figure 12.4c The net social gain is the gain for the fishermen minus the loss for the plantations, shown by the remaining green area. Since the gain to the fishermen would be greater than the loss to the plantations, the fishermen would be willing to pay the banana growers to reduce output to 38,000 tonnes if they had the funds to do so. The minimum acceptable offer from the fishermen depends on what the plantations get in the existing situation, which is their reservation profit (shown by the blue area labelled ‘loss of profit’). If plantation owners agreed to this minimum payment to compensate them for their loss of profit, the fishing industry would achieve a net gain from the agreement equal to the net social gain, while plantations would be no better (and no worse) off. The maximum the fishing industry would pay is determined by their fallback (reservation) option, as in the case of the plantations. It is the sum of the blue and green areas. In this case, the plantations would get all of the net social gain while the fishermen would be no better off. As in the cases of bargaining in Unit 5, the compensation they agree on, between these maximum and minimum levels, will be determined by the bargaining power of the two groups. You may think it unfair that the fishermen need to pay for a reduction in pollution. 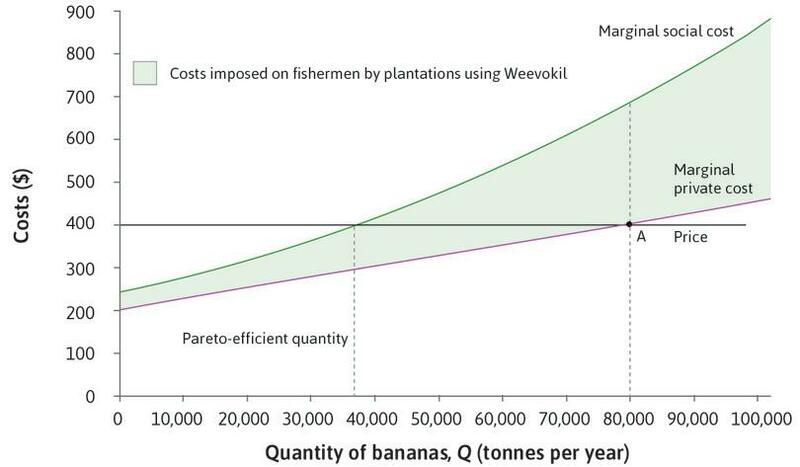 At the Pareto-efficient level of banana production, the fishing industry is still suffering from pollution, and it has to pay to stop the pollution getting worse. This happens because we have assumed that the plantations have a legal right to use Weevokil. An alternative legal framework could give the fishermen a right to clean water. If that were the case, the plantation owners wishing to use Weevokil could propose a bargain in which they paid the fishermen to give up some of their right to clean water to allow the Pareto-efficient level of banana production, which will be a much more favourable outcome for the fishermen. In principle, the bargaining process would result in a Pareto-efficient allocation independently of whether the initial rights were granted to the plantations (right to pollute) or to the fishermen (right to unpolluted water). But the two cases differ dramatically in the distribution of the benefits of solving the market failure. Impediments to collective action: Private bargaining may be impossible if there are many parties on both sides of the external effect, for example many fishermen and many plantation owners. Each side needs to find someone they trust to bargain for them, and agree how payments will be shared within each industry. The individuals representing the two groups would be performing a public service that might be difficult to secure. Missing information: Devising the payment scheme makes it necessary to measure the costs of Weevokil, not just in aggregate, but to each fisherman. We also need to establish the exact origin of the pollutant, plantation by plantation. Only when we have this information can we calculate the size of the payment that each fisherman has to pay, and how much each plantation should receive. It’s easy to see that it is far harder to make a polluting industry accountable for the damage it does than to calculate the liability for damage done, for example, by a single reckless driver. Tradability and enforcement: The bargain involves the trading of property rights, and the contract governing the trade must be enforceable. Having agreed to pay thousands of dollars, the fishermen must be able to rely on the legal system if a plantation owner does not reduce output as agreed. 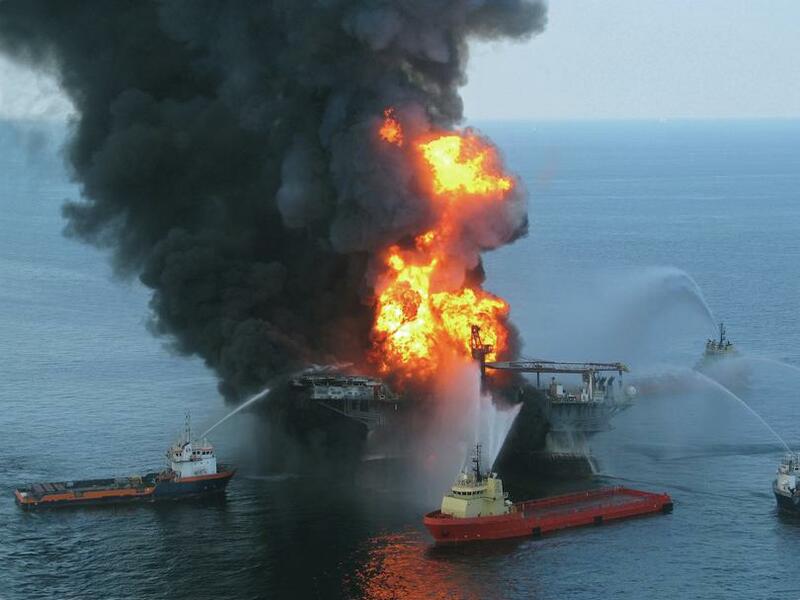 This may require the fishermen and the courts to discover information about the plantation’s operations that are not publicly known or available. Limited funds: The fishermen may not have enough money (we have seen in Unit 10 why they would probably not be able to borrow large sums) to pay the plantations to reduce output to 38,000 tonnes. The pesticide example illustrates that although correcting market failures through bargaining may not require direct government intervention, it does require a legal framework for enforcing contracts so that property rights are tradable and so that all parties stick to the bargains they make. Even with this framework, the problems of collective action, missing information, and enforcement of what will inevitably be complex contracts make it unlikely that Coasean bargaining alone can address market failures. According to the 1992 Rio Declaration of the United Nations: ‘National authorities should endeavour to promote the internalization of environmental costs and the use of economic instruments, taking into account the approach that the polluter should, in principle, bear the cost of pollution, with due regard to the public interest and without distorting international trade and investment.’ Several of the approaches we describe in this unit are consistent with this principle. Either giving the fisherman a right to clean water or enforcing compensation means that the plantations will have to pay at least as much as the costs incurred by the fishing industry. A tax also means that the polluter pays, although it pays the government rather than the fishing industry. In the example of plantation owners and fishermen, can you think of any factors that might affect the bargaining power of these parties? Draw a diagram with the quantity of honey on the horizontal axis, showing the marginal cost of honey production as an upward-sloping line, and the price of honey as a horizontal line. Show the amount of honey that the profit-maximizing beekeeper will produce. For the beekeeper, the marginal private benefit of producing a kilo of honey is equal to the price. But since the bees benefit a neighbouring farmer, by helping to pollinate her crops, honey production has a positive external effect. Draw a line on your diagram to represent the marginal social benefit of honey production. Show the quantity of honey that would be Pareto efficient. How does it compare with the quantity chosen by the beekeeper? The graph depicts the MPC and MSC of the robot factory production in Question 12.1. The robot market is competitive and the market price is $340. Currently the factory is producing an output of 120, but 80 would be Pareto efficient. Which of the following statements is correct? The minimum acceptable payment is the loss of surplus, which is the green shaded area = 0.5 × (340 − 260) × 40 = $1,600. The maximum that the nurses would pay is the total gain (of reduction in noise cost) associated with the fall in output. This is the total area of the shaded shape, which is ((80 + 20) × 40)/2 = $4,000. $4,000 is the maximum the nurses would pay (the whole shaded area). The minimum acceptable payment is the yellow shaded area. Consider the situation where the noise of a factory’s production affects nurses in the dormitory next door. If there are no transaction costs to impede Coasean bargaining, which of the following statements is correct? 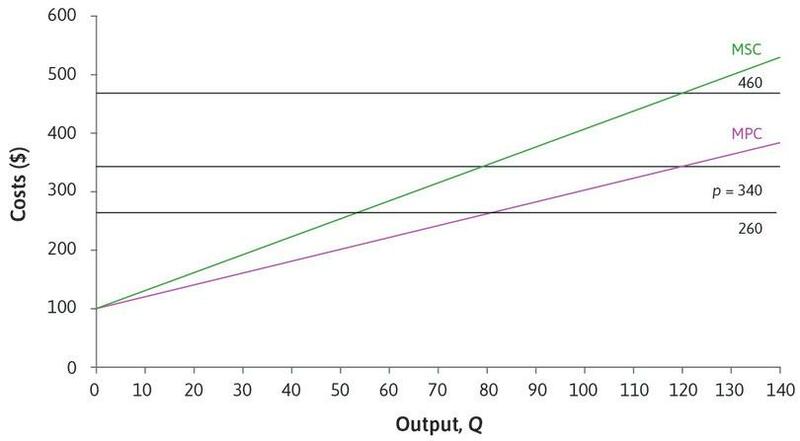 Whether the final output level will be Pareto efficient depends on who has the initial property rights. If the nurses have the initial rights, they will obtain all of the net social gain from robot production. The final allocation will be Pareto efficient regardless of whether the factory has the right to make noise or the nurses have the right for undisturbed sleep. This is the main result of Coasean bargaining. If the factory has the initial rights, the nurses will have to pay for a reduction in noise; if they have the initial rights they will gain both a noise reduction and a payment from the factory. This policy would reduce the costs of pollution for the fishermen, but it would lower the plantations’ profits. They would lose their surplus on each tonne of bananas between 38,000 and 80,000. Figure 12.5 shows the MPC and MSC curves again. At the Pareto-efficient quantity (38,000 tonnes), the MSC is $400 and the MPC is $295. The price is $400. If the government puts a tax on each tonne of bananas produced, equal to $400 – $295 = $105 (the marginal external cost), then the after-tax price received by plantations will be $295. Now, if plantations maximize their profit, they will choose the point where the after-tax price equals the marginal private cost and produce 38,000 tonnes, the Pareto-efficient quantity. Use the analysis in Figure 12.5 to see how this policy works. Figure 12.5 Using a tax to achieve Pareto efficiency. At the Pareto-efficient quantity, 38,000 tonnes, the MPC is $295. The MSC is $400. So the marginal external cost is MSC – MPC = $105. Figure 12.5a At the Pareto-efficient quantity, 38,000 tonnes, the MPC is $295. The MSC is $400. So the marginal external cost is MSC – MPC = $105. If the government puts a tax on each tonne of bananas produced equal to $105, the marginal external cost, then the after-tax price received by plantations will be $295. Figure 12.5b If the government puts a tax on each tonne of bananas produced equal to $105, the marginal external cost, then the after-tax price received by plantations will be $295. To maximize profit, the plantations will choose their output so that the MPC is equal to the after-tax price. They will choose point P1 and produce 38,000 tonnes. Figure 12.5c To maximize profit, the plantations will choose their output so that the MPC is equal to the after-tax price. They will choose point P1 and produce 38,000 tonnes. The tax corrects the price message, so that the plantations face the full marginal social cost of their decisions. When the plantations are producing 38,000 bananas, the tax is exactly equal to the cost imposed on the fishermen. This approach is known as a Pigouvian tax, after the economist Arthur Pigou who advocated it. It also works in the case of a positive external effect: if the marginal social benefit of a decision is greater than the marginal private benefit, this becomes a Pigouvian subsidy, which can ensure that the decision-maker takes this external benefit into account. The distributional effects of taxation are different from those of regulation. The costs of pollution for fishermen are reduced by the same amount, but the reduction in banana profits is greater, since the plantations pay taxes as well as reducing output, and the government receives tax revenue. The government could require the plantation owners to pay compensation for costs imposed on the fishermen. The compensation required for each tonne of bananas will be equal to the difference between the MSC and the MPC, which is the distance between the green and purple lines in Figure 12.6. Once compensation is included, the marginal cost of each tonne of bananas for the plantations will be the MPC plus the compensation, which is equal to the MSC. So now the plantations will maximize profit by choosing point P₂ in Figure 12.6 and producing 38,000 tonnes. The shaded area shows the total compensation paid. The fishermen are fully compensated for pollution, and the plantations’ profits are equal to the true social surplus of banana production. The plantations compensate the fishermen. Figure 12.6 The plantations compensate the fishermen. The effect of this policy on the plantations’ profits is similar to the effect of the tax, but the fishermen do better because they, rather than the government, receive payment from the plantations. When we identified 38,000 tonnes as the Pareto-efficient level of output in our model, we assumed that growing bananas inevitably involves Weevokil pollution. So our diagnosis was that too many bananas were being produced, and we looked at policies for reducing production. But that was not the case in Guadaloupe and Martinique, where there were alternatives to chlordecone. If alternatives to Weevokil were available, it would be inefficient to restrict output to 38,000 tonnes, because if the plantations could choose a different production method and the corresponding profit-maximizing output, they could be better off, and the fishermen no worse off. So the problem was caused by the use of chlordecone, not the production of bananas. The market failure occurred because the price of chlordecone did not incorporate the costs that its use inflicted on the fishermen, and so it sent the wrong message to the firm. Its low price said: ‘use this chemical, it will save you money and raise profits’, but if its price had included the full external costs of its use, it might have been high enough to have said: ‘think about the downstream damage, and look for an alternative way to grow bananas’. In this situation, a policy of requiring the plantations to compensate the fishermen would have given them the incentive to find production methods that caused less pollution and could, in principle, have achieved an efficient outcome. In theory, if the tax on a unit of chlordecone was equal to its marginal external cost, the price of chlordecone for the plantations would be equal to its marginal social cost, so it would be sending the right message. They could then choose the best production method taking into account the high cost of chlordecone, which would involve reducing its use or switching to a different pesticide, and determine their profit-maximizing output. As with the banana tax, the profits of the plantations and the pollution costs for the fishermen would fall, but the outcome would be better for the plantations, and possibly the fishermen also, if chlordecone rather than bananas were taxed. Unfortunately, none of these remedies was used for 20 years in the case of chlordecone, and the people of Guadaloupe and Martinique are still living with the consequences. In 1993, the government finally recognized that the marginal social cost of chlordecone use was so high that it should be banned altogether. In Guadaloupe and Martinique, nothing was done to reduce chlordecone pollution until 1993, although chlordecone was first listed as carcinogenic in 1979. It was obvious that the external costs were much higher than in our case of Weevokil, damaging the health of islanders as well as the livelihood of fishermen. In fact, the marginal social cost of any bananas produced with the aid of chlordecone was higher than their market price, justifying an outright ban on its use. The pollution turned out to be much worse than anyone realized at the time, and is likely to persist in the soil for 700 years. In 2013, fishermen in Martinique barricaded the port of Fort de France until the French government agreed to allocate $2.6 million in aid. Marginal social costs are difficult to measure: While the plantations’ marginal private costs are probably well known, it is harder to determine marginal social costs, such as the pollution costs, to either individuals or to society as a whole. The government may favour the more powerful group: In this case it could impose a Pareto-efficient outcome that is also unfair. 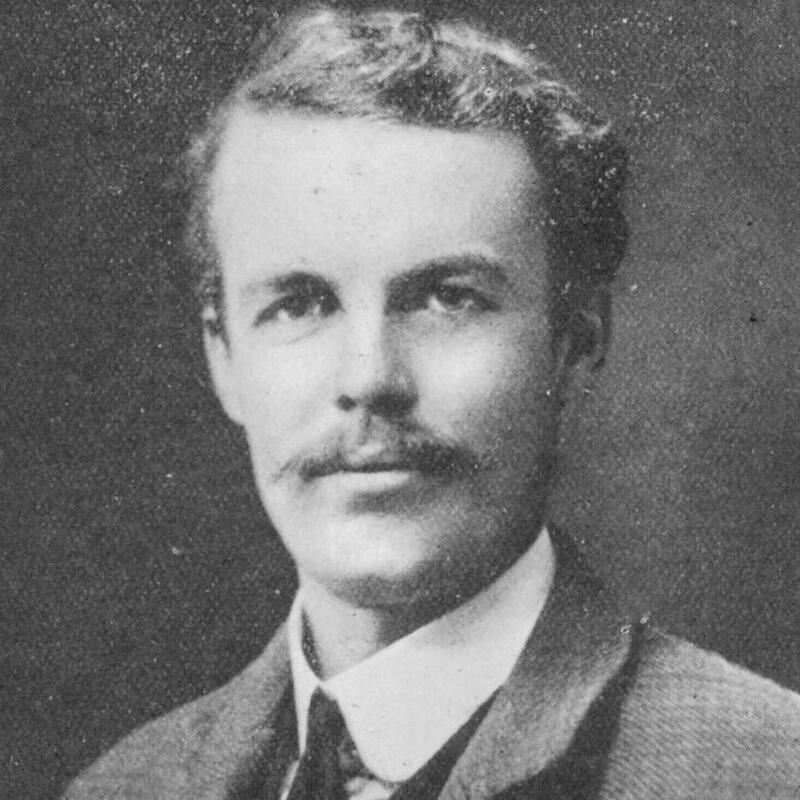 Arthur Pigou (1877–1959) was one of the first neoclassical economists to focus on welfare economics, which is the analysis of the allocation of resources in terms of the wellbeing of society as a whole. Pigou won awards during his studies at the University of Cambridge in history, languages, and moral sciences (there was no dedicated economics degree at the time). He became a protégé of Alfred Marshall. Pigou was an outgoing and lively person when young, but his experiences as a conscientious objector and ambulance driver during the First World War, as well as anxieties over his own health, turned him into a recluse who hid in his office except for lectures and walks. Pigou’s economic theory was mainly focused on using economics for the good of society, which is why he is sometimes seen as the founder of welfare economics. Pigou believed that the reallocation of resources was necessary when the interests of a private firm or individual diverged from the interests of society, causing what we would today call externalities. He suggested taxation could solve the problem: Pigouvian taxes are intended to ensure that producers face the true social costs of their decisions. Despite both being heirs to Marshall’s new school of economics, Pigou and Keynes did not see eye-to-eye. Keynes’s work, The General Theory of Employment, Interest and Money, contained a critique of Pigou’s The Theory of Unemployment, and Pigou felt that Keynes’s material was becoming too dogmatic and turning students into ‘identical sausages’. The online version of Keynes’s The General Theory allows you to search for his critique of Pigou: John Maynard Keynes. 1936. The General Theory of Employment, Interest and Money. London: Palgrave Macmillan. Although overlooked for much of the twentieth century, Pigou’s work paved the way for much of labour economics and environmental policy. Pigouvian taxes were largely unrecognized until the 1960s, but they have become a major policy tool for reducing pollution and environmental damage. Now we can extend the table we started to create in Section 12.1 (Figure 12.3). Look at the fifth column in Figure 12.7, which is new: it adds the possible remedies for the problem of negative external effects. Figure 12.7 Water pollution market failure, with remedies. Consider the beekeeper and neighbouring farmer in Exercise 12.3. Why might they be unable to bargain successfully to achieve a Pareto-efficient outcome in practice? Use the diagram you drew to show how the government might improve the situation by subsidizing honey production. Describe the distributional effects of this subsidy, and compare it to the Pareto-efficient bargaining outcome. The graph shows the MPC and MSC of robot production for the factory situated next to a dormitory for nurses who work nightshifts. The market for robots is competitive and the market price is $340. The initial output is 120 but the government uses a Pigouvian tax to reduce this to the efficient level of 80. Which of the following statements is correct? Under the Pigouvian tax, the factory’s surplus will be $6,400. The Pigouvian tax lowers the after-tax price to $260. The factory’s surplus is the area above the MPC line and below the line for a price of $260 = 0.5 × 80 × (260 – 100) = $6,400. The Pigouvian tax has to lower the after-tax price from $340 to $260, so it is $80. In taking an action so as to maximize profits (choosing the level of banana production or the choice of pesticide) the plantation owners did not take account of the external costs they imposed on the fishermen. And they had no reason to take account of them: they had the right to pollute the fisheries. The same is true for the overuse of antibiotics. A self-interested person has no reason to use antibiotics sparingly, because the superbug that may be created will probably infect someone else. If the prices of chlordecone and the antibiotic were high enough, there would be no overuse. But the prices of these goods were based on the costs of production, and excluded costs that their use would inflict on others. As you have seen, the private cost to the user (how much he paid to acquire the good) fell short of the social cost for this reason. Another example: when fuel costs are low, more people decide to drive to work rather than taking the train. The information conveyed by the low price does not include the environmental costs of deciding to drive. The effects on the decision-maker are termed private costs and benefits, while the total effects, including those inflicted or enjoyed by others, are social costs and benefits. Costs inflicted on others (such as pollution and congestion that are worse because you drive to work) are termed external diseconomies or negative externalities, while uncompensated benefits conferred on others are external economies or positive externalities. We can understand why these and other market failures are common by thinking about how they could be avoided. How could the cost of driving to work accurately reflect all of the costs incurred by anyone, not just the private costs made by the decision-maker? The most obvious (if impractical) way would be to require the driver to pay everyone affected by the resultant environmental damage (or traffic congestion) an amount exactly equal to the damage inflicted. This is of course impossible to do, but it sets a standard of what has to be done or approximated if the ‘price of driving to work’ is to send the correct message. Something like this approach applies if you drive recklessly on the way to work, skid off the road, and crash into somebody’s house. Tort law (the law of damages) in most countries would require you to pay for the damage to the house. You are held liable for the damages so that you would pay the cost you had inflicted on another. Knowing this, you might think twice about driving to work (or at least slow down a bit when you are late). It will change your behaviour and the allocation of resources. A firm operates an incinerator that produces fumes: The fumes lower the surrounding air quality. Those being polluted do not have a right to clean air, which is the right that would be the basis for a claim for compensation from the firm. So the firm does not have to pay these costs. A firm trains a worker who quits for a better job: The skills of the trained worker go with them to the new job. Therefore, even though a different firm receives the benefit, the firm that paid for the training cannot collect compensation from the new firm. Kim, the farmer in Unit 4, contributes to the cost of an irrigation project while other farmers free-ride on Kim’s contribution: Kim has no way of claiming payment for this public-spirited act. The free-riders will not compensate Kim. A country invests in reducing carbon emissions that lowers the risks of climate change for other countries: As we saw in Unit 4, unless a treaty guarantees compensation for the costs of reduced emissions, other countries do not need to pay for this. The environmental improvement for the other countries is an uncompensated benefit. Market failures occur in these examples because the external benefits and costs of a person’s actions are not owned by anyone. Think about waste. If you redecorate your house and you tear up the floor or knock down a wall, you own the debris and you have to dispose of it, even if you need to pay someone to take it away. But this is not the case with fumes from the incinerator or loud music at night. You do not have a contract with the incinerator company specifying at what price you are willing to accept fumes, or with your neighbour about the price of the right to play music after 10pm. In these cases economists say that we have ‘incomplete, missing, or unenforceable property rights’—or, simply, incomplete contracts. We saw an important example of an incomplete contract in Unit 6. In the employment relationship, the employer can pay for the worker’s time, but the contract cannot specify how much effort is to be put in. Likewise, the external effects of a person’s actions are effects that are not governed by contracts. Another way to express the problem is to say that there is no market within which these external effects can be compensated. So eco­nomists also use the term missing markets to describe problems like this. Why don’t countries just rewrite their laws to reward people for the benefits they confer on others, and make decision-makers pay for the costs they inflict on others? In Unit 6, we reviewed the reasons why the kinds of complete contracts that would enforce these objectives are incomplete or unenforceable. These are that necessary information is either not available or not verifiable, the external effects are too complex or difficult to measure to be written into an enforceable contract, or there may be no legal system to enforce the contract (as in pollution, which crosses national borders). You can see in our example that it would not be possible to write a complete set of contracts in which each individual fisherman could receive compensation from each plantation for the effects on that fisherman of its individual decisions. For these and other reasons, in most cases it is impractical to use tort law to make people liable for the costs they inflict on others, because we don’t have that information. And it is equally infeasible to use the legal system to compensate people for the beneficial effects they have on others, for example, to pay those who keep beautiful gardens an amount equal to the pleasure this confers on those who pass their house. A court would have to know how much that pleasure was worth to each passerby. Some information that is of concern to someone other than the decision-maker is non-verifiable or asymmetric information. Therefore, there can be no contract or property rights ensuring that external effects will be compensated. As a result, some of the social costs or benefits of the decision-maker’s actions will not be included (or will not be sufficiently important) in the decision-making process. The irrigation projects that we studied in Unit 4 are another example of a good that may not be provided efficiently in the market system. We described irrigation systems as a public good. When one farmer incurs a cost to provide irrigation, all farmers benefit. This creates a social dilemma. If farmers act independently, they all have an incentive to free-ride, in which case no one will provide irrigation. Only by finding ways of working together can they achieve the outcome that benefits them all. The defining characteristic of a public good is that if it is available to one person it can be available to everyone at no additional cost. An irrigation system is a public good for the community where it is located. There are other examples that are public goods for a whole country, like national defence (if one person is protected from foreign invasion, this will be true of others, too) and weather forecasting (if I can tune in and find out if it’s likely to rain today, so can you). These are services that are typically provided by governments rather than the market. Knowledge is also a public good. You can use your knowledge of a recipe for baking a cake or the rules of multiplication without affecting the ability of others to use the same knowledge. (This creates a problem for firms investing in research—if competing firms can freely appropriate the knowledge that they produce, their incentive to innovate is reduced.) And the environment provides public goods. Enjoying a view of the setting sun does not deprive anyone else of their enjoyment. In all of these cases, once the good is available at all, the marginal cost of making it available to additional people is zero. Goods with this characteristic are also called non-rival goods. A good is termed public if once available to one person, it can be available to everyone at no additional cost and its use by one person does not reduce its availability to others. This character of a public good is called non-rival because potential users are not in competition (rivals) with each other for the good. Note that some economists add that others cannot be excluded from the goods’ use. These goods are called non-excludable public goods. We consider the non-rival character of a public good to be its defining characteristic, whether others can be excluded or not. For some public goods, it is possible to exclude additional users, even though the cost of their use is zero. Examples are satellite TV, the information in a copyrighted book, or a film shown in an uncrowded cinema: it costs no more if an additional viewer is there, but the owner can none­theless require that anyone who wants to see the film must pay. The same goes for a quiet road on which tollgates have been erected. Drivers can be excluded (unless they pay the toll) even though the marginal cost of an additional traveller is zero. Public goods for which it is feasible to exclude others are sometimes called artificially scarce goods or club goods (because they function like joining a private club: when the golf course is not crowded, adding one more member costs the golf club nothing, but the club will still charge a membership fee). The opposite of a non-excludable public good is a private good. We have seen many examples: loaves of bread, dinners in restaurants, rupees divided between Anil and Bala (Unit 4), and boxes of breakfast cereal. All of these goods are both rival (more for Anil means less for Bala) and excludable (Anil can prevent Bala from taking his money). There is a fourth kind of good that is rival, but not excludable, called a common-pool resource. An example is fisheries that are open to all. What one fisherman catches cannot be caught by anyone else, but anyone who wants to fish can do so. We can also think of busy public roads as a common-pool resource. Anyone who chooses to use them may do so, but each user makes the road more congested and slows down the journeys of others. The table in Figure 12.8 summarizes the four kinds of goods. Figure 12.8 shows four distinct categories of goods. But the extent of rival­ry or excludability in goods is a matter of degree. For some kinds of goods, the cost of additional users is not literally zero (which is what pure non-rivalry would require) but instead very small. An example is a medical drug that cost millions in research funds to create the first pill, but only pennies per application to make treatments available to additional users once created. ‘Goods’ in economics are things that people want to use or consume. But there are also ‘bads’: things that people don’t want, and might be willing to pay to not have, such as household refuse, or unpleasant-smelling drains. These are private bads. Analogously, we can define public bads: air pollution, for example, is a bad that affects many people simultaneously. It is non-rival in the sense that one person suffering its effects does not reduce the suffering of the others. Figure 12.8 Private goods and public goods. When goods are non-rival, the marginal cost is zero: Setting a price equal to marginal cost (as is necessary for a Pareto-efficient market transaction) will not be possible unless the provider is subsidized. When goods are not excludable there is no way to charge a price for them: The provider cannot exclude people who haven’t paid. So when goods are not private, public policy may be required to allocate them. National defence is a responsibility of the government in all countries. Environmental policy addresses problems of common-pool resources and public bads such as pollution, and carbon emissions (see Unit 20). Governments also adopt a range of policies to address the problem of knowledge as a public good, such as issuing patents to give firms an incentive to undertake research and development (R&D) (see Unit 21). Market failure in the case of public goods is closely related to the problems of external effects, absent property rights, and incomplete contracts that we have been discussing in this unit. A community irrigation system is a public good, so if one farmer decides to invest in an irrigation project, this confers an external benefit on the other farmers. Since her private benefit is less than the overall social benefit, she will invest too little from the point of view of the community, or she may not invest at all. There is no market in which the beneficiaries of the irrigation system pay the providers for the benefits they obtain, and it would be difficult to write complete contracts between all the farmers to achieve a Pareto-efficient irrigation level. Similarly, we analysed Weevokil pollution as a problem in which the decisions of banana plantations imposed a negative external effect on fisherman. The private cost of using Weevokil was below the social cost, so the pesticide was overused. But we can also interpret the plantations as contributing to a public bad, from which all of the fishermen suffer. Thus, any of the examples of non-private goods introduced in this section can be described using the framework we set up in Section 12.3 to summarize cases of market failure. They are summarized in the table in Figure 12.9. Figure 12.9 Examples of market failure, with remedies. For some public goods it is possible to exclude additional users even though the cost of use is zero, for example subscription TV. Such goods are called artificially scarce. We know that a common reason for contracts to be incomplete is that inform­ation about an important aspect of the interaction is unavailable, or unveri­fiable. In particular, information is often asymmetric—that is, one party knows something relevant to the transaction that the other doesn’t know. One form of asymmetric information is a hidden action. In Unit 6 we studied the case of the employee whose choice of how hard to work is hidden from the employer. This causes a problem known as moral hazard. There is a conflict of interest because the employee would prefer not to work as hard as the employer would like, and work effort cannot be specified in the contract. We saw in Unit 9 how the employer’s response (paying a wage above the reservation level) led to a Pareto-inefficient outcome in the labour market. The problem of hidden action occurs when some action taken by one party to an exchange is not known or cannot be verified by the other. For example, the employer cannot know (or cannot verify) how hard the worker she has employed is actually working. The term moral hazard originated in the insurance industry to express the problem that insurers face, namely, the person with home insurance may take less care to avoid fires or other damages to his home, thereby increasing the risk above what it would be in absence of insurance. This term now refers to any situation in which one party to an interaction is deciding on an action that affects the profits or wellbeing of the other but which the affected party cannot control by means of a contract, often because the affected party does not have adequate information on the action. It is also referred to as the ‘hidden actions’ problem. The term adverse selection refers to the problem faced by parties to an exchange in which the terms offered by one party will cause some exchange partners to drop out. An example is the problem of asymmetric information in insurance: if the price is sufficiently high, the only people who will seek to purchase medical insurance are people who know they are ill (but the insurer does not). This will lead to further price increases to cover costs. Also referred to as the ‘hidden attributes’ problem (the state of already being ill is the hidden attribute), to distinguish it from the ‘hidden actions’ problem of moral hazard. George Akerlof, an economist, was the first to analyse this problem in 1970. Initially his paper on the subject was rejected by two economics journals for being trivial. Another returned it, saying that it was incorrect. Thirty-one years later, he was awarded the Nobel Prize for his work on asymmetric information. Akerlof and co-author Robert Shiller give a simple explanation of the so-called market for lemons in this book: George A. Akerlof and Robert J. Shiller. 2015. Phishing for Phools: The Economics of Manipulation and Deception. Princeton, NJ: Princeton University Press. The cars differ in quality, which we measure by the true value of the car to its owner. Quality ranges from zero to $9,000 in equal steps: there is one worthless car, one worth $1,000, another worth $2,000, and so on. The average value of the cars is thus $4,500. Sellers do not expect to receive the full value of their vehicle, but they are willing to sell if they can get more than half the true value. So the total surplus on each car—the gain from trading it—will be half the price of the car. If prospective buyers were able to observe the quality of every car, then buyers would approach each seller and bargain over the price, and by the end of the day all of the cars (except for the entirely worthless one) would be sold at a price somewhere between their true value and half the true value. The market would have assured that all mutually beneficial trades would take place. But, on any day, there is a problem: potential buyers have no information about the quality of any car that is for sale. All they know is the true value of the cars sold the previous day. The most that prospective buyers are willing to pay for a car will be the average value of the cars sold the day before. Yesterday all the cars (as we assumed at the start) were put on the market and sold. The average value of these cars was $4,500, so the most a buyer is willing to pay today will be $4,500. At the beginning of the day, each prospective seller considers selling his or her car, expecting a price of $4,500 at the most. Most of the owners are happy, because it is more than half the true value of their car. But one owner isn’t pleased. The owner of the best car would not sell unless the price exceeds half the value of his car: more than $4,500. Prospective buyers will not pay this price. So today the owner of the best car will not offer it for sale. No one with a car worth $9,000 will be willing to participate in this market. The rest of the cars will sell today: their value averages $4,000. Tomorrow buyers will know the average value of the cars sold today. And so tomorrow, buyers will decide they will be willing to pay at most $4,000 for a car. If cars of these two values had sold the previous day, then, the next day, buyers will be willing to pay at most $500 for a car. Economists call processes like this adverse selection because the prevailing price selects which cars will be left in the market. If any cars are traded, they will be the lower quality ones. The selection of cars is adverse for buyers. In the example above, there are no cars left at all—the market disappears altogether. The market for lemons is a well-known term in economics, but the lemons problem—that is, the problem of hidden attributes—is not restricted to the used car market. Another important example is health insurance. Imagine hypothetically that you will be born into a population in which you do not know whether you will be a person with a serious health problem, or might contract such a problem later in life, or perhaps be entirely healthy until old age. There is a health insurance policy available covering any medical services you may need, and the premium is the same for everyone—it is set according to the average expected medical costs of people in the population, so that for the insurance company the premiums will cover the total expected payout, assuming everyone signs up. Would you buy this health insurance policy? The assumption that you do not know anything about your health status in this thought experiment is unrealistic. It is another use of John Rawls’ veil of ignorance that we discussed in Unit 5. Thinking about this problem as an impartial observer highlights the importance of the veil of ignorance assumption. People are more likely to purchase insurance if they know that they are ill: So the average health of people buying insurance will be lower than the average health of the population. Insurance companies will be profitable only if they charge higher prices: These prices will be higher than they would charge if all members of the population were forced to purchase the same insurance. This leads to adverse selection: In which case, the price will be high enough that only people who knew they were ill would wish to purchase insurance. This leads to even higher prices for insurance: To remain in business, the insurance companies will now have to raise prices again. Eventually the vast majority of the people purchasing insurance will be those who know they already have a serious health problem. Healthy people are priced out of the market: Those who want to buy insurance in case they fall ill in the future will not buy insurance. To address the problem of adverse selection due to asymmetric information, and the resulting missing markets for health insurance, many countries have adopted policies of compulsory enrolment in private insurance programs or universal tax-financed coverage. Hidden attributes are not the only problem facing insurers, whether private or governmental. There is also a problem of hidden actions. Buying an insurance policy may make the buyer more likely to take exactly the risks that are now insured. For example, a person who has purchased full coverage for his car against damage or theft may take less care in driving or locking the car than someone who had not purchased insurance. But the insurer cannot enforce a contract about how fast you drive or whether you drive after having had a drink. These are the actions that are hidden from the insurer because of the asymmetric information: you know these facts, but the insurance company does not. This is a problem of moral hazard, similar to the one of labour effort. They are both principal–agent problems: the agent (an insured person, or employee) chooses an action (how careful to be, or how hard to work) that matters to the principal (the insurance company, or the employer), but cannot be included in the contract because it is not verifiable. Though seemingly very different, these moral hazard problems are similar in an important respect to chlordecone pollution, and to public goods and common-pool resources in the previous section. In every case, someone makes a decision that has external costs or benefits for someone else: in other words, costs or benefits that are uncompensated. For example in the moral hazard case, the insured person (the agent) decides how much care to take. Taking care has an external benefit for the insurer (principal) but is costly for the agent, so consequently we have a market failure: the level of care chosen is too low. So these problems of moral hazard (and also the adverse selection problems described earlier in this section) can be placed within the framework of external effects and market failure we are using throughout this unit. The problems arising from asymmetric information are summarized in the table in Figure 12.10. Figure 12.10 Asymmetric-information market failures, with remedies. There are 10 cars on the market, of which six are good quality cars worth $9,000 to buyers, and the others are lemons, worth zero. There are many potential buyers who do not know the quality of each car, but they know the proportion of good quality cars, and are willing to pay the average value. All sellers are happy to accept a price at least half the value of their car. Based on this information, which of the following statements is correct? The average value to the buyers is (9,000 × 6 + 0 × 4)/10 = $5,400. This is the highest price that the buyers are willing to pay. There are many buyers willing to pay the average value, which is $5,400. At this price, all sellers are willing to sell, so all cars will be sold, and competition between buyers will ensure that the price will be the most they are willing to pay: $5,400. All sellers will sell if the price is $4,500 or more. There are many buyers willing to pay the average value, which is $5,400. So all cars will be sold, but competition between buyers will drive up the price beyond $4,500. A motor insurance market, in which the insurers do not know how carefully the insured people drive. A health insurance market, in which the insurers do not know whether or not the applicants for insurance are habitual smokers. Online sales of nutritional supplements, when consumers cannot tell whether their contents are as claimed by sellers. A firm that employs home-workers, but cannot observe how hard they are working. We discussed borrowing and lending in Unit 10. Borrowing and lending is a principal–agent problem in which the prudent use of the borrowed funds; hard work to ensure the success of the project for which the funds were borrowed; and the repayment of the loan, cannot be secured by means of an enforceable contract. As a result, the decisions of the borrower—hard work, prudence—have external effects on the lender. What the borrower does affects the profits of the lender but is ‘external’ to the contract. They are not covered in the contract because critical information that would be necessary to write them into a contact—how prudently the borrower ran the project, or how hard she worked for its success—is not available to the lender, and even if it were, in most cases it would not be sufficient to enforce the necessary contracts. Notice how similar this is to the problems of an employee making effort or an insured person taking care. They are all moral hazard problems. The fundamental problem in the case of credit is that because the borrower may not repay the loan in the event of a failed project, she will take risks that she would have avoided if she had to bear the full cost of a bad outcome. This means that the project is more likely to fail, imposing costs on the lender. As we saw in Unit 10, this will make the lender reluctant to make loans unless the borrower can be given an incentive not to take undue risk, either by investing some of her own funds in the project for which she is seeking funding (equity) or by providing collateral to the lender. This means that a person with little wealth may not be able to get a loan, even for a project that would have used the resources in a highly productive way, for example a new business, the cost of a license to practice a trade, or training. To put it another way, lenders are willing to trade-off project quality to get a borrower who has more equity or more collateral. Sometimes a high-quality project from a poor would-be borrower is not funded by the lender, while a rich individual with a middling project gets a loan, as illustrated in Figure 12.11. Project quality and wealth of borrower. Figure 12.11 Project quality and wealth of borrower. Thus poor borrowers may be credit-constrained or credit-excluded. This is another form of market failure, which arises particularly when wealth is very unequally distributed. Remember from Unit 10 how the Grameen Bank addressed this problem by making groups of borrowers jointly responsible for loan repayment, giving them an incentive to work hard and take prudent decisions without the need for equity or collateral. Credit market failures also occur for another reason. When a bank makes a loan, it takes account of the possibility that it may not be repaid: if the interest rate it can charge is sufficiently high, even quite risky loans (like payday loans) may be a good bet. But the bank also worries about what might happen to its profits should most of its borrowers be unable to pay, as would happen if it had extended mortgages for home purchases during a boom in housing prices, and then the housing bubble burst. The bank could fail. The bank will typically have borrowed from other banks: Just like the farmer borrowing to plant his crop, the bank owners will know that some of the costs of bankruptcy will be borne by other banks that will not be repaid. ‘Too big to fail’: If the bank is sufficiently important in the economy, then the prospect of its failure is likely to provoke a bailout of the bank by the government, subsidizing it with tax revenue. So again, the bank owners know that others (taxpayers or other banks) will bear some of the costs of their risk-taking. They then take more risks than they would if they were to bear all of the costs of their actions. Like environmental spillovers, excess risk-taking by banks and borrowers is a negative external effect leading to a market failure. Those who may get stuck with the risk-taker’s losses try to protect themselves. Governments seek to regulate the banking system, limiting bank leverage so that banks would theoretically have sufficient resources to repay their debts. We can add the credit market examples to our table of market failures in Figure 12.12. Figure 12.12 Credit market failures, with remedies. The problem with the credit market is that rich people will always get a loan irrespective of the quality of their project. It is easier for rich people to get loans because they are able to provide equity or collateral. Banks are described as ‘too big to fail’ when their large size makes them safe institutions. Banks that are ‘too big to fail’ are careful not to make risky loans. The rich may not get a loan if the project quality is low. The problem is more that poor people do not get a loan even if the project is of high quality. Lenders can reduce the moral hazard problem by requiring equity or collateral, which only richer people are able to provide. Banks are ‘too big to fail’ if they are too important for the continued functioning of the economy for the government to allow them to fail. These banks may make riskier loans, because they know the government will rescue them if they fail. Markets might seem to be everywhere in the economy, but this is not the case. Recall Herbert Simon’s image from Unit 6 of a Martian viewing the economy. The Martian mainly sees green fields, which are firms. They are connected by red lines representing buying and selling in markets, but many resource allocation decisions are made within the firms. Families, similarly, do not allocate resources among parents and children by buying and selling. Governments use the political process rather than market competition to determine where, and by whom, schools will be built and roads maintained. Why are some goods and services allocated in markets, while firms, families, and governments allocate others? This is an old question, and there are two basic answers. First, some kinds of activities are better carried out by families, some by governments, some by firms, and some by markets. It is hard to see, for example, how conceiving and raising children could be effectively carried out by firms or markets. A combination of families and governments (schooling) does the job in most societies. What determines the balance between firms and markets? Ronald Coase provided an explanation of the relative importance of firms and markets. Firms exist because for some things, ‘in-house’ production is more profitable than acquiring the same thing by purchase. The extent of the market is determined by the firm’s decision about which components of a product to produce and which ones to buy. Coase explained that the boundaries of this divide between the firm and the market are set by the relative costs of the ‘make it’ and ‘buy it’ options. Coase’s explanation underlines an important fact that is often lost in sometimes heated debates about the merits of decentralized systems of organization-like markets, as opposed to more centralized ones like governments. What he showed is that there are some things that centralized systems (like the firm) are better at, and others that are better handled by the market. And the beauty of this demonstration is that it is not a judgement by some possibly biased observer: it is the verdict of the market itself. Competition among firms ultimately punishes firms that overdo the ‘make it’ option by overextending the boundaries of the centralized system through internal expansion. And market competition equally punishes the firms that fail to take advantage of centralized decision making by overly opting for the ‘buy it’ option. The second answer to the question why some goods are allocated in markets and some in other institutions is quite different from Coase’s explanation of the boundaries of the firm. People disagree about the appropriate extent of the market, some thinking that some things that are now for sale should be allocated by other means, while others think that markets should take a larger role in the economy. Repugnant markets: Marketing some goods and services—vital organs, or human beings—violates an ethical norm, or undermines the dignity of those involved. Merit goods: It is widely held that some goods and services (called merit goods) should be available to people independently of their ability or willingness to pay. In most countries, there are well-established institutions that allow parents to voluntarily give up a baby for adoption. But laws typically prevent parents from selling their infants. Why do most countries ban the buying and selling of babies? Is it not true that a market for infants would provide parents wishing to sell and would be parents wishing to buy with opportunities for mutual gains from exchange? Virtually all countries ban the sale of human organs for transplant. Commercial surrogacy—a woman becoming pregnant and giving birth to a baby for another couple for pay—is not legal in most countries (although it is legal in some states in the US, Thailand, and Russia). But economic reasoning might hold that it is wrong to prevent these transactions if both parties enter into them voluntarily. One reason we might object is that the sale may not be truly voluntary, because poverty might force people to enter into a transaction they might later regret. A second reason would be a belief that putting a price on a baby, or a body part, violates a principle of human dignity. It corrupts our attitudes towards others. Michael Sandel investigating the moral limits of his audience in his TED Talk ‘Why we shouldn’t trust markets with our civic life’. But parents’ attitudes to babies and voters’ appreciation of their democratic rights might both be altered if they were bought and sold. When we consider whether it would be beneficial to introduce a new market, or monetary incentives, we should think about whether this might crowd out other social norms or ethical preferences. There are some goods and services that are considered special in that they should be made available to all people, even those who lack the ability or willingness to pay for them. These are called merit goods, and they are provided by governments rather than allocated by a market governed by the willingness to pay. In most countries, primary education is provided free to all children and financed by taxation. Basic health care—at least emergency care—is also often available to all, irrespective of the ability to pay. The same holds in many countries for legal representation at trial: a person unable to pay for a lawyer should be assigned legal representation without charge. Personal security—protection from criminal assault or home fires, for example—is typically ensured in part by publically provided police protection and fire-fighting services. Why should merit goods be provided to people free of charge? People of limited income do not have access to a great many things. They typically live in sub-standard and often unhealthy housing, and have very limited opportunities for recreational travel. Why are basic health care and schooling, legal representation, and police and fire protection different? The answer is that in many countries, these goods and services are considered the right of every citizen. A complicated medical procedure has been discovered that cures a rare form of cancer in patients who would otherwise certainly die. Staff shortages make it impossible to treat all those who would benefit, and the hospital has established a policy of first come, first served. Ben, a wealthy patient who is at the bottom of the list, offers to pay Aisha, a poor person on the top of the list, $1 million to exchange places. If Aisha dies (which is very likely), then her children will inherit the money. Aisha agrees. William and Elizabeth are a wealthy couple who give birth to a baby with a minor birth defect. They sell this baby to their (equally wealthy) neighbours and buy a child without any birth defects from a family who needs the money. An individual with an adequate income, decides that he would like to sell himself to become the slave of another person. He finds a buyer willing to pay his asking price. The aspiring slave will use the money to further his children’s education. Figure 12.13 brings together the examples we have seen in which markets fail to allocate resources efficiently. At first sight they seem different from each other, but in each one, we can identify an external benefit or cost that a decision-maker does not take into account. The table in Figure 12.14 shows that the fundamental source of market failure is an information problem: some important aspect of an interaction that cannot be observed by one of the parties, or cannot be verified by a court. The table in Figure 12.13 also shows some possible remedies. Govern­ments play an important role in the economy in their attempts to diminish the inefficiencies associated with many kinds of market failure. However, the same information problems can hamper a government seeking to use taxes, subsidies, or prohibitions to improve on the market outcome. For example, the French government eventually decided to ban the use of chlordecone rather than collect the information necessary to devise a tax on banana production or provide compensation to the fisheries. Sometimes a combination of remedies is the best way to cope with these information problems and resulting market failures. An example is car insurance. In many countries, third-party insurance (covering damage to others) is compulsory to avoid the adverse selection problem that would occur if only the accident-prone drivers purchased insurance. To address the moral hazard problem of hidden actions, insurers sometimes require the installation of on-board monitoring devices so that prudent driving habits can be an enforceable part of the insurance contract. Figure 12.13 Market failures with remedies. Figure 12.14 Market failures and information problems. Moderating fluctuations in employment and inflation: In Unit 10 you learned that except for the very wealthy, people cannot borrow enough to sufficiently smooth their consumption over time in response to changes in their employment status and other shocks. Governments can help by adopting policies that moderate the fluctuations in people’s real incomes and employment (Units 13–15). Wages, profits, and productivity in the long run: In Units 2, 6, and 9 you studied how wages, profits, and the productivity of labour are determined. Governments have a role here, too, in adopting policies that will affect the bargaining power of employers and their workers, and in boosting the productivity of labour. Understanding these aspects of public policy as well as policies concerning the global economy, the environment, inequality, and innovation, requires that we now develop a model of the economy as a whole, sometimes called macroeconomics. Our understanding of the labour market from Units 6 and 9, the credit market from Unit 10 and this unit and the process of innovation from Unit 2 provide the basis for our understanding of how the economy considered as a whole works. This will be the subject of the next unit. Construct a table like the one in Figure 12.13 to analyse the possible market failures associated with the decisions below. In each case, can you identify which markets or contracts are missing or incomplete? Pareto-inefficient market outcomes (market failure) can result from limited competition, average costs declining with output, or external effects. Externalities occur when some aspect of an exchange is not covered by an enforceable property right or contract, as a result of asymmetric or non-verifiable information. Examples include employment, credit, and insurance contracts (which may be affected by problems of moral hazard and adverse selection), and public goods and bads (such as knowledge and pollution). Both Coasean bargaining and Pigouvian taxes and subsidies can improve on market outcomes in these cases, but both are limited by the same problems of asymmetric and non-verifiable information that is the reason for the market failure. Repugnance and other moral objections to exchanging some goods for money, and the crowding-out effects of monetary incentives, provide reasons why some goods and services are not allocated using markets. Roth, Alvin E. 2007. ‘Chapter 1: Repugnance as a Constraint on Markets’. Journal of Economic Perspectives 21 (3): pp. 37–58. 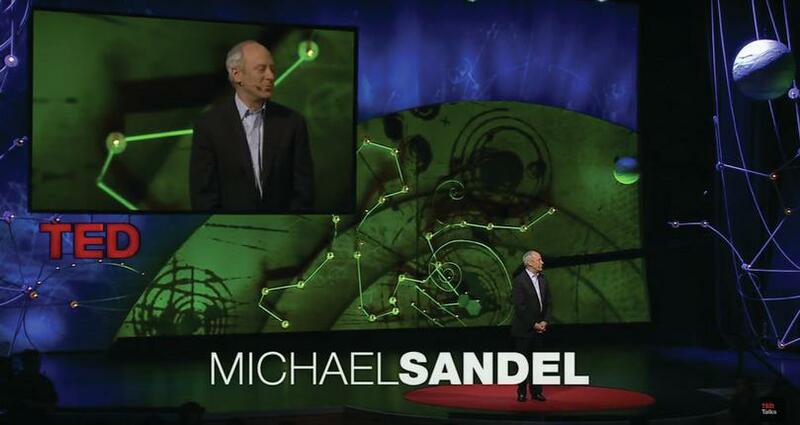 Sandel, Michael. 2009. Justice. London: Penguin. Seabright, Paul. 2010. ‘Chapter 1: Who’s in Charge?’. In The Company of Strangers: A Natural History of Economic Life. Princeton, NJ, United States: Princeton University Press.